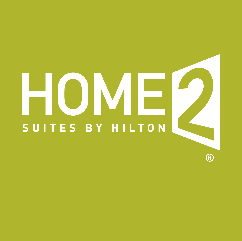 Home 2 Suites by Hilton San Antonio Rim was officially opened on December 20, 2019, ahead of schedule. The Home2 Suites is managed by Tharaldson Hospitality Management. We are the very first hotel as a Home2 Suites with Tharaldson Hospitality Management listed as the 45th hotel with 46 hotels in 14 states and many more to come. Since his first hotel acquisition in 1982, Gary Tharaldson has owned over 350 hotel properties throughout the United States. He has been instrumental in developing prototype properties for the likes of Marriott and Hilton, and has received numerous Developer of the Year awards from the same highly respected franchise companies. Our new Home2 Suites by Hilton San Antonio at the Rim is the perfect home base for your stay for business or vacation. We are conveniently located just off I-10, across the highway from Six Flags Fiesta Texas and surrounded by shops, dining, golf courses and entertainment. We are just five minutes from the University of Texas at San Antonio and 20 minutes from downtown. We are very excited to be part of this community and looking forward to seeing everyone on February 27th for our grand opening. Program begins at 5:00 p.m.
Ribbon Cutting at 5:30 p.m.
We hope you all enjoyed this event! Check out the photos HERE!